Jewelry Boxes There are 9 products. Presentation Gift Box for Damascene Bracelet or Watch Damascene Jewelry by Midas of Toledo Spain. 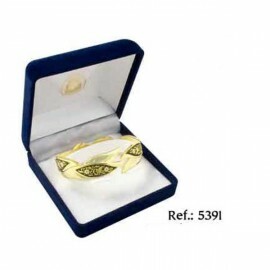 Damascene Womens Jewelry. Jewelry box. Jewelry Box Square-Damascene Design. Luxury jewel box with 24K gold damascene art work and with red velvet. Hand made in Toledo Spain. 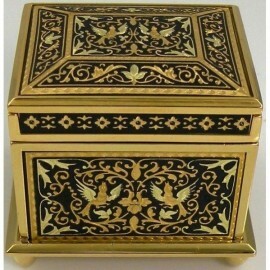 Damascene Gold Wooden Jewelry Box MI7000BIRD. Jewel box made of wood with a real damascene artowk made of 24K gold. Medieval style, bird motif. Luxury jewel box. Box size: 160 mm x 140 mm x 40 mm. 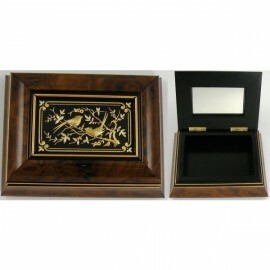 Damascene Gold Wooden Jewelry Box MI7002BIRD. 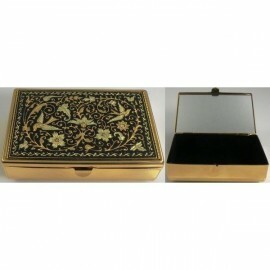 Luxury jewelry box with a real damascene design. Jewelry box size: 138 mm x 101 mm x 42 mm. Medieval style, bird motif. Damascene Gold and Silver Bird Wooden Jewelry Box by Midas of Toledo Spain Style 97002. Luxury box for jewels in a medieval style. Wood and true damascene design in silver and gold. Jewelry Box Size: 138 mm x 101 mm x 42 mm. Damascene Gold Bird Wooden Jewelry Box MI7004BIRD. Luxury wood and 24K gold box for jewelry. Medieval style jewelry with bird motif. Made in Toledo Spain. 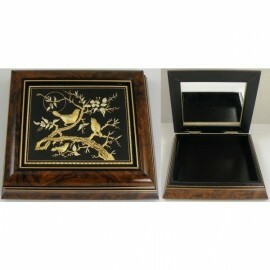 Jewelry Box size: 111 mm x 84 mm x 42 mm. Damascene Gold Bird Wooden Jewelry Box by Midas of Toledo Spain Style 7005. 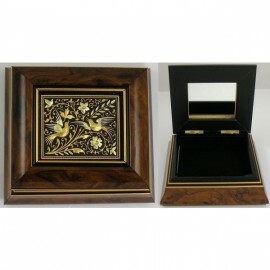 Luxury jewelry box made of wood with 24K gold damascene design. Bird motif. Jewelry box size: 101 mm x 93 mm x 40 mm. Damascene Gold Bird Jewelry Box by Midas of Toledo Spain Style 8555-1. 24K gold box for your jewels. True damascene design. Box size 87 mm x 58 mm x 30 mm. 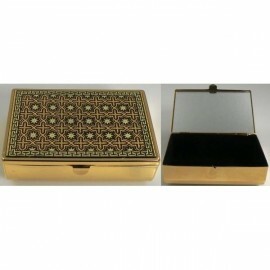 Damascene Gold Geometric Jewelry Box Style 8555-2. 24K gold jewelry box. damascene jewelry from Toledo Spain. 87 mm x 58 mm x 30 mm.